Your website is a crucial part of the business. It can be the generator of leads, customers and revenue. New customers, staff, suppliers and partners can all find you and reach out to you. It is therefore imperative that you have peace of mind about the running of your website. You need it to be available 24/7, no interruptions. Every piece of software, let me say that again, EVERY piece of software needs to be updated. This is also true for for the software which is powering your website. You can be sure that you competitors are thinking about new websites and cutting-edge online strategies. Now, more than ever, we rely on the internet everywhere. More people are connected and the stakes are higher each year. Regrettably, more hacking is happening too. Even the big names like Twitter and Facebook are not immune. It’s just the way that things are. You need to be protected as well as you can be. 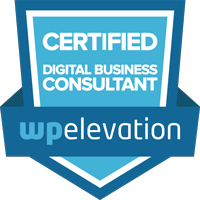 Keeping your website up to date, backed up and secure is time consuming and dull. It takes you away from what you should be doing; building relationships with your customers, staff and partners. The technology continues to evolve and there is no way most people can keep up with all the latest developments and threats. If you are reading this page, then we know your website inside and out because we built it or have at least worked on it. We know what makes it hang together. We also know the software your website is built on very well. We’ve been using it for years and all of our websites (including this one) are built on that same software. 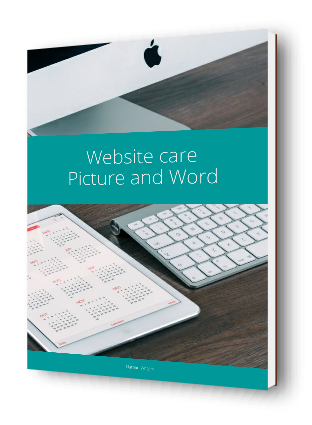 So we are in the very best position to keep your website up and running and open for business and we can do that with one of our Website Care Plans. We’ll do all the dull work you don’t want to so you can just enjoy being a engaged inside your business. We will perform an unlimited number of small tasks on your website throughout the month to make sure every piece of content and code is in good shape. Like Doctors in the 70’s and Accountants in the 80’s, good web developers are flat out these days and it doesn’t look like that’s going to change in a hurry. We’ve put all of the information from this page into a handy ebook in PDF format so that you can look at it and even print it off. Great value hosting with backups and no bandwidth caps. Standard Support Ticket Assistance. 2 – 3 working days response. Our Silver plan is perfect if you want a greater degree of security and faster ticket response times. Premium Support Ticket Assistance. 1 – 2 working days response. Custom video manuals to teach you how to maintain and update your website. * These sessions will take place over the phone / Skype / Hangouts, and can last up to 30 minutes. ** Unlimited small tasks include any task that takes us less than 30 minutes to complete and typically covers things like adding a testimonials section or a staff profile section to your website. These tasks do not cover advanced features such as a complete online shop or membership section.